@leokhoa It's working now. I really enjoy the menu of Laragon and that it's so modular. Thank you very much for creating this awesome piece of software. @leokhoa I did not add or change anything. I tried this by extracting Laragon to a new location and the same thing happens. I tried to change the forum skin from settings. Anything except default changes the navbar. 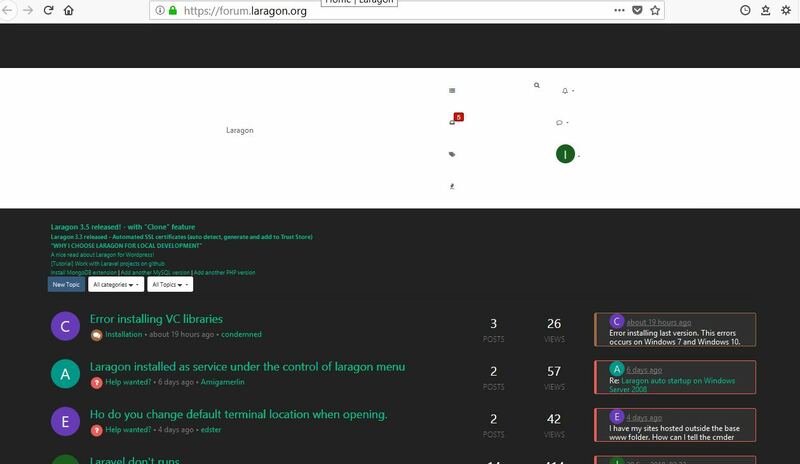 I am using Laragon portable for Wordpress on Windows 8.1 64-bit core. I like the portable version as it's small, has everything I need, no bloat for me. Then I checked and there is no MySQLRootPassword entry in Laragon.ini. I also tried menu > MySQL > Reset and generate a random password for root. So is this bug? If not how do I set MySQL root password?